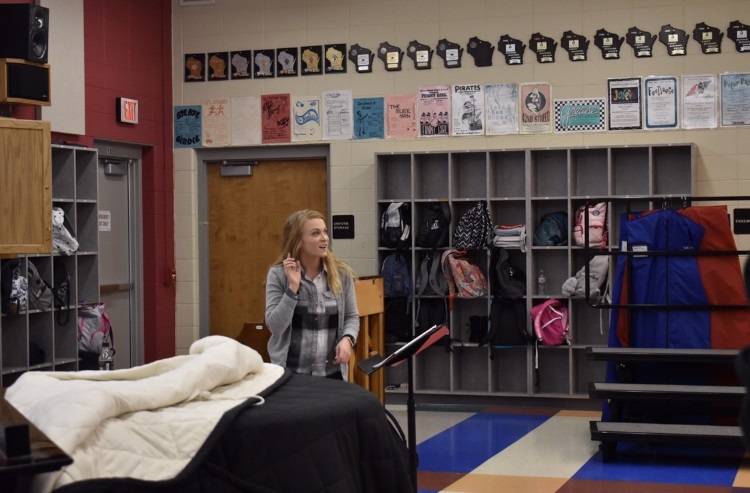 For choir teacher Tess Tranel, the West Bend theater stage is both a fresh and familiar experience. Tranel, the new choir teacher at the West Bend High Schools, attended Holy Angels Parish School for elementary school and graduated from West Bend West High School in 2014. While in high school, she always had aspirations to sing and dance. Tranel participated in all four musicals, joined mixed choir and concert choir, participated in the group Vivace! and eventually joined honors choir during her time at West Bend. She then went on to graduate from the University of Wisconsin-Stevens Point. “I couldn’t get enough of music, and I knew that I wanted to continue on with it for the rest of my life,” Tranel said. Although she had left the area, she still had many emotional ties to West Bend, including the fact that her mom currently teaches fourth grade at Holy Angels. This, along with many other factors, drew her back to West Bend. Grace Peplinski, an East senior, represents another emotional attachment Tranel has to West Bend. Besides directing the WBHS choir, Tranel is involved in numerous other theatrical productions around the area, such as Spotlight Productions, Musical Masquers and Comicality in Harford. She also has plans to sing with the Holy Angels church choir. McKenna Garvey, an East junior in the choir, feels like Tranel is a perfect fit for this position. Now that she has had time to adjust, Tranel noticed how welcoming both the staff and the students have been and how they have made this transition for her much easier. 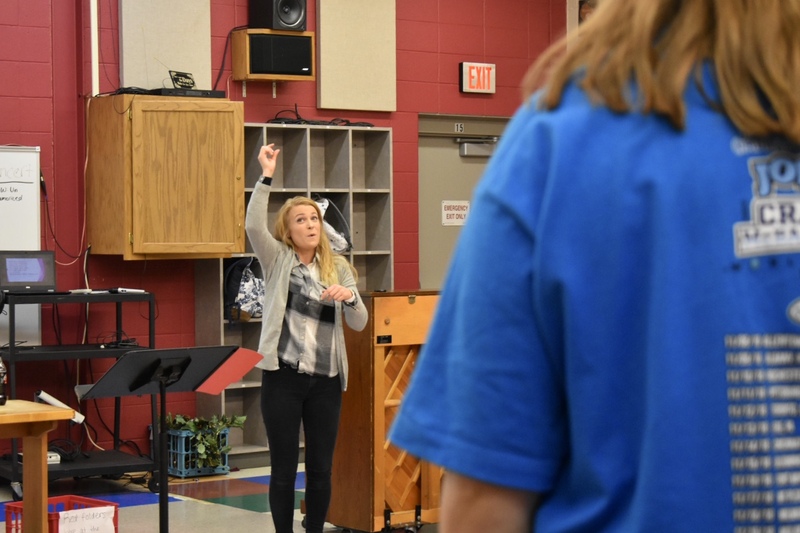 Not only has Tranel had to endure the challenges of becoming a new teacher, but she has also had to plan a choir concert in the midst of it all. As stressful as it may be, she managed to pull the first one off successfully. Frankie Breit, a West junior in the choir, agreed that the choir was very successful and that Tranel did a great job producing the concert. This concert in particular was an emotional one for Tranel due to the fact that it was her first concert back in West Bend since her days in high school.